Day of the Week Theme fun, day two! 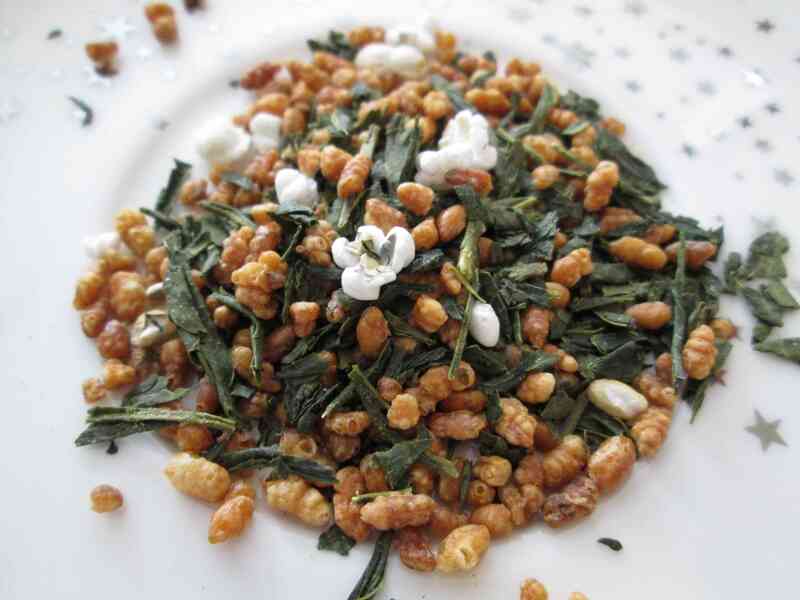 Today’s tea is: genmaicha, or, as my friend calls it, pop-rice tea. It’s a green tea with roasted brown rice, and the little bits that look like popcorn are actually rice grains. It’s a very tasty tea, and my friend swears that it’s the best thing to help you when you are ill. Whenever her kids are sick, all they want is pop rice tea, so you know it has to be good! I brew it with just boiled water (it needs a higher water temperature than most green teas) for under a minute (according to wiki). Any longer and it will get bitter, but the very hot water gets the most flavor from the rice.